The Asian Development Bank says on average, there is only 7.5% female representation in Asian boardrooms as of 2012. There are still few women in Asian boardrooms. This is what Asian Development Bank (ADB) found in its study, Women’s Leadership and Corporate Performance. Covering 10 countries in Asia and the Pacific, the results were reported by the multilateral organization on February 17. Released in January 2016, Among the 10 economies studied, Australia has the highest female ratio in corporate leadership, with 18.2% of its companies having a woman in boardrooms while the Republic of Korea posted the lowest with 1.9%. The People’s Republic of China has the least public emphasis on gender diversity, but its female representation in boardrooms has grown the fastest, the ADB report noted. There was no mention of the Philippines in the study except that it cited a 2014 Grant Thornton International Business Report that showed the country has 40% female representation in senior management roles. In Europe, several countries have mandated having a female representative in boardrooms; United Kingdom (UK) proposes a minimum of 25%; Norway mandates 40%; and Germany mandates 30% female representation. “These legislative initiatives are based on the view that tapping female talent pools could positively affect corporate governance and performance,” the report stated. However, these numbers are far cry from Asia-Pacific’s statistics, with only Malaysia and India having mandatory gender diversity quotas for the senior management positions or boards, not to mention the latter’s ineffective implementation. 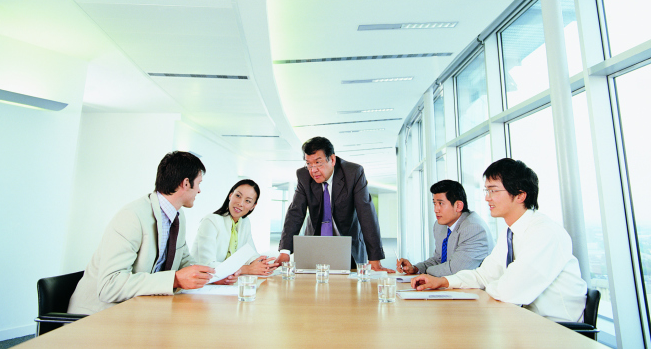 On average, there is only 7.5% female representation in boardrooms in Asia as of 2012, amid its improving percentage. These are despite the study’s findings that that firm performance is the highest when there are two females on the board. “Appointment of a female director is also positively associated with [the] firms’ return on assets (ROA) and return on equity (ROE) in the subsequent year,” the report added. This supports the study’s finding that low percentage of female leadership in the Asian region may be due to lack of supply of female applicants. Access to college education, labor participation, wages, and infant survival are found to be related to the issue. The study suggested mandating more government policies that promotes gender equality, as this would also benefit their respective economies in the end. “Equality in talent fostering could be a Pareto improvement in developing human capital, which in turn contributes to economic growth,” the report said.